Toddler Beds Your Choice of Character Only $45.00 SHIPPED! If you've been thinking about transitioning out of a crib to a big kid bed then take a look at this chance to purchase a Toddler Bed in Your Choice of Character for ONLY $45.00 (Regularly: $59.88) SHIPPED! 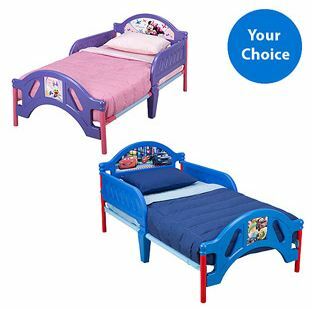 Walmart.com is offering up toddler beds featuring 10 different characters to choose from, so you're sure to find something your little one will love!